For once in a blue moon (or more often), the Boomerang recommends . . .
Today is the second full moon in the month of August, which makes it a blue moon (the second full moon in a month), which only happens every two years or so, or . . . once in a blue moon! 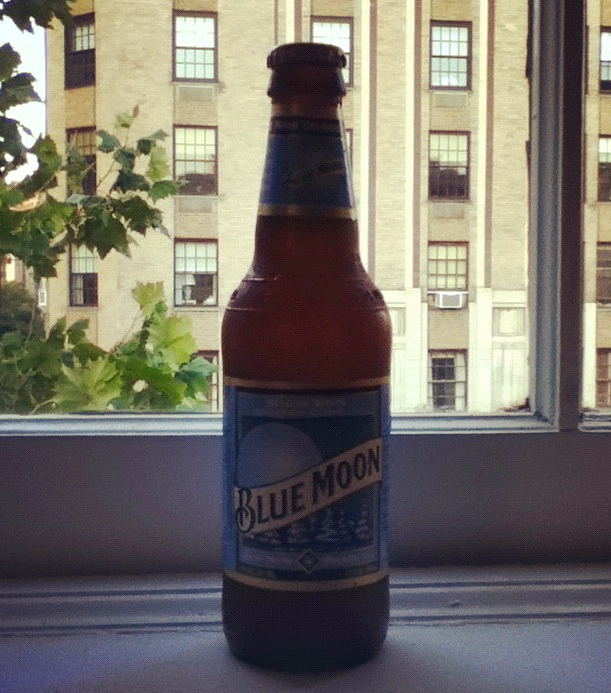 Blue Moon in a bottle, a “Belgian style white wheat ale” is an excellent way to observe the occasion. For an excellent slide show of today’s blue moon making appearances around the world, click here. 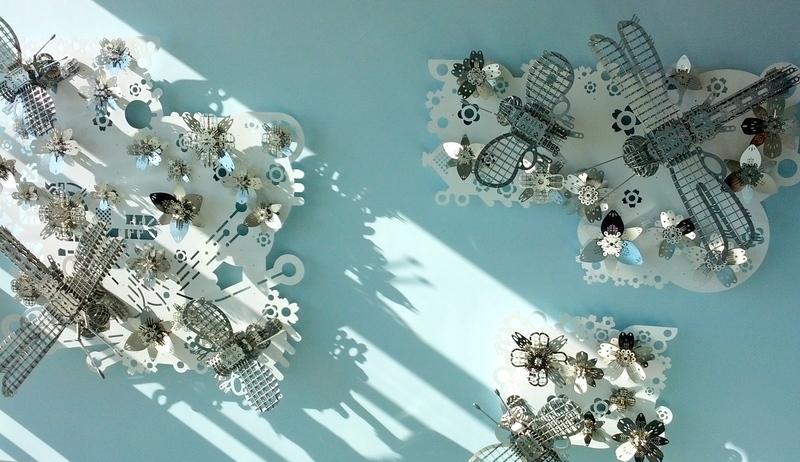 Flying machines on display at San Francisco International airport, this post typed from a coast away, in New York City! 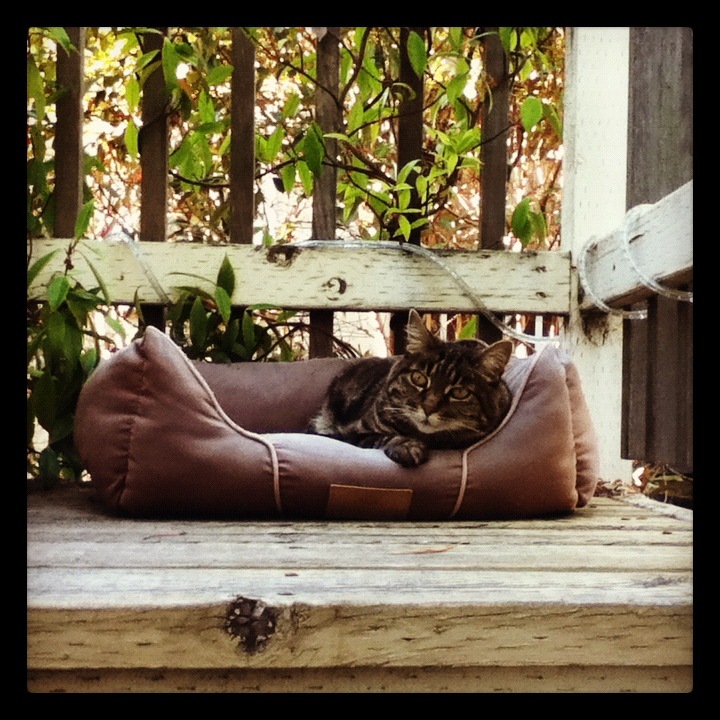 Our Miss Kitty (aka Miss Kitteh), playing the cool cat . . . her true self! 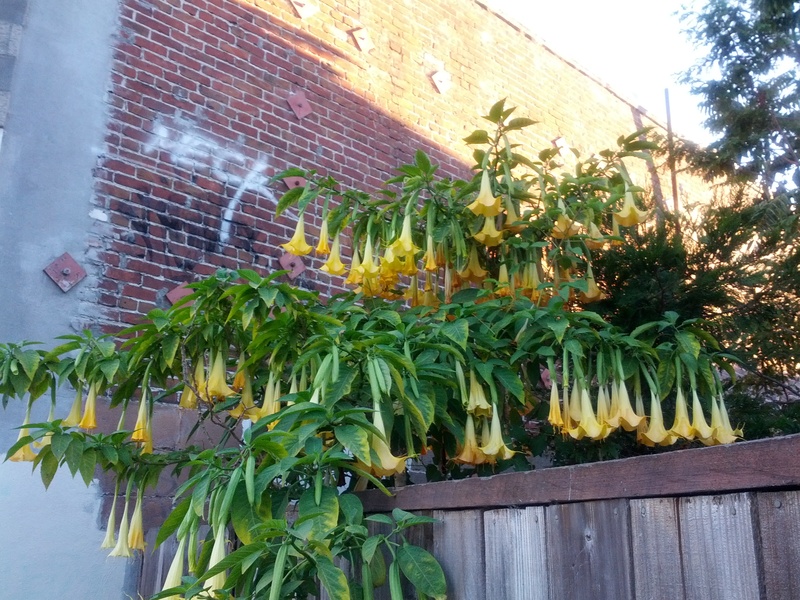 These flowers grow on trees all over Berkeley, hanging so luxuriously just like this; I think they’re Gabriel’s Trumpet flowers (what a great name! ), but I could be wrong!? 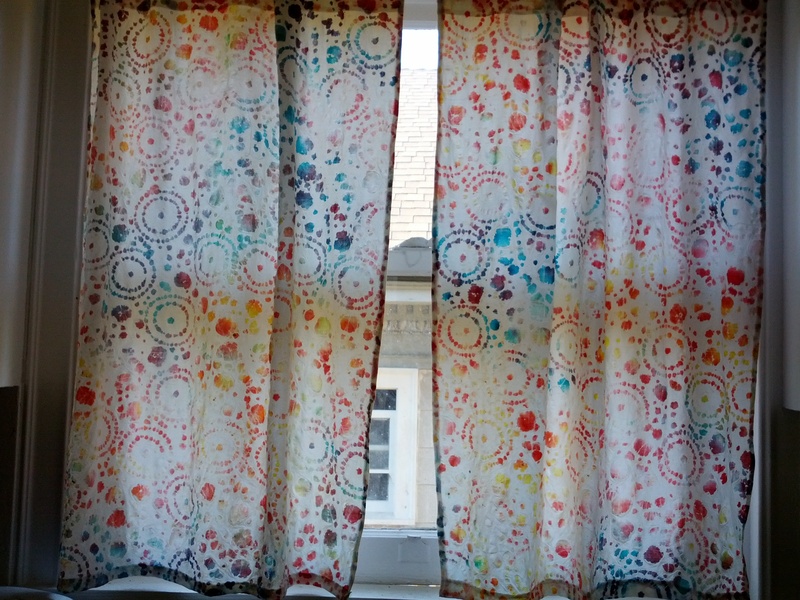 Martha-made curtains over Leslie’s kitchen sink: they remind me of the marks that glasses leave on tables when they’re loaded with condensation from some ice-cold beverage–only in rainbow colors! Late summer Sunday dinner menu: king salmon, corn on the cob, tomato salad, and . 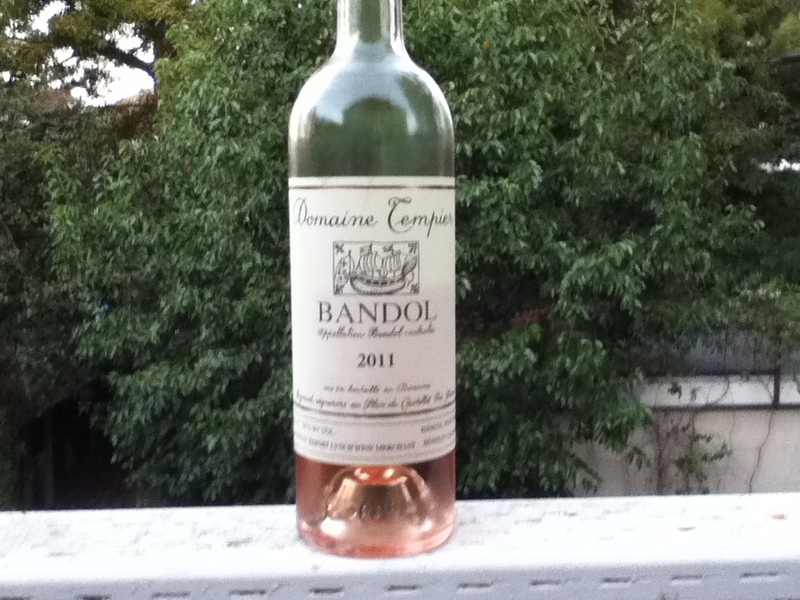 . . Bandol rose! Introducing . 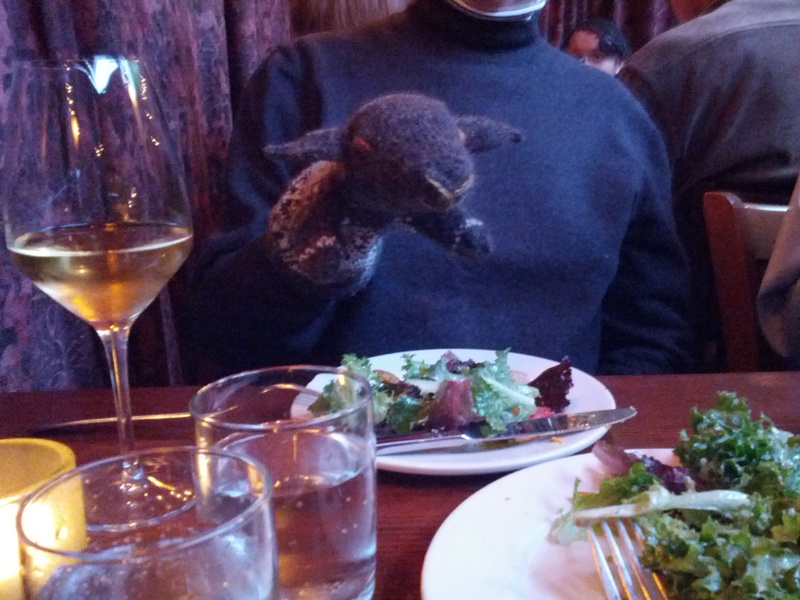 . . Lamby! A new member of Leslie’s menagerie: Lamby, the fair-isle lamb puppet, grown, spun and knit on Lopez Island be the Island Fibers duo, and purchased at Chimera Gallery.